A growing number of pet owners are discovering the health benefits of CBD for dogs. It is becoming more widely accepted as a safe and natural treatment for a wide variety of health issues, including anxiety, pain, inflammation, and in some cases, even managing serious conditions like epilepsy. CBD stands for cannabidiol, a cannabis compound that is sourced from hemp. Hemp is not the same as marijuana. Hemp has very low levels of tetrahydrocannabinol (THC), which is what produces the psychoactive effects, and higher levels of CBD, the substance that provides the therapeutic effects. CBD will not get your dog “high” and is completely safe. 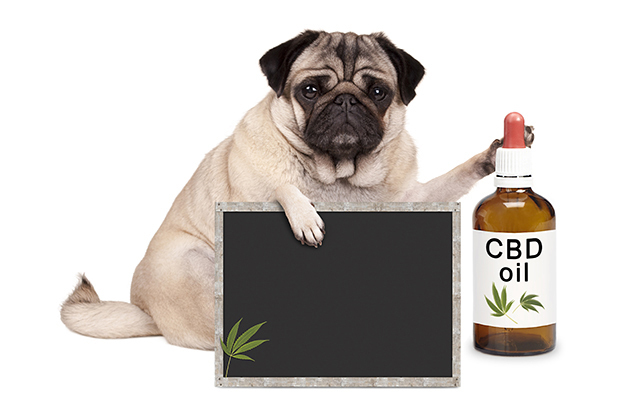 CBD can be given to dogs in the form of a pill, liquid CBD oil, or CBD dog treats. There is no difference between these three, and it mostly depends on convenience and your dog’s preference; however, it’s possible that CBD oil for dogs may have better absorption rates. Although there are many health conditions that might benefit from CBD, following are four of the most common. CBD can suppress or interrupt pain signals in your dog’s brain and it may also reduce the inflammation that causes the pain in the first place. Some of the most common health problems that cause pain include arthritis, hip dysplasia, cancer, sprains, strains, and recovery from surgery. Many veterinarians believe that CBD is a safer option for these conditions than anti-inflammatory drugs. CBD can not only help relieve the pain from cancer, but can also help with the side effects from treatment, such as nausea and vomiting. CBD is not a cure for cancer, but early studies are showing some promising results in reducing tumor growth. Many dogs suffer from separation anxiety or phobias from loud noises, riding in a car, or any number of other situations. The signs of anxiety are usually pretty obvious and may be related to certain situations or may be part of your dog’s regular behavior. Researchers don’t really know why CBD has a calming effect, but it is believed that serotonin levels reduce the anxiety. Many dogs have skin issues that cause them to excessively lick and scratch. They may be allergic to something specific or they may suffer from a chronic disease like eczema. It is best to try to get to the root cause of the allergic reaction, which is often related to ingredients in their food. Corticosteroids are usually prescribed to help heal skin conditions, but these steroids can have some negative side effects, so it is not recommended for long-term use. Studies have concluded that CBD can often help relieve itchy and dry skin and also promote the growth of healthy skin. Good quality, pure CBD oil is more expensive. It takes a large amount of hemp to safely extract the CBD. This is an instance where you get what you pay for. Be sure the CBD product actually has a large amount of CBD. If there is only a small amount of CBD, it won’t have any effect. Check CBD dog treats’ ingredient analysis label. Avoid additives or fillers. Organic CBD dog treats or oils are better. Make sure the company has posted independent lab results. If you’re looking for a natural and safe way to improve your dog’s health, CBD could be a good fit. It may be a good alternative to medication that’s producing unwanted side effects. Or, it could be a good option to help your dog relax and be more balanced. It’s always best to consult with your veterinarian, especially if your dog is taking other supplements or medication. Information for this article is from Dogs Naturally Magazine and Dr. Karen Becker, a proactive and integrative wellness veterinarian. 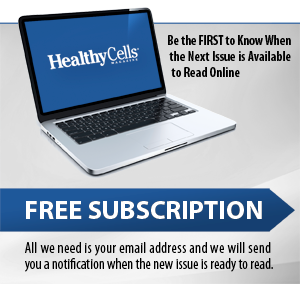 Check out their websites, www.dogsnaturallymagazine.com and www.healthypets.mercola.com for more information on a wide variety of topics.